Ronald E. Riggio is director of the Henry R. Kravis Leadership Institute at Claremont McKenna College. He is coeditor of The Practice of Leadership and Improving Leadership in Nonprofit Organizations, both from Jossey-Bass, and coauthor of Transformational Leadership, from Erlbaum. Ira Chaleff is president of Executive Coaching & Consulting Associates, adjunct faculty at Georgetown University, and the author of The Courageous Follower: Standing Up to and for Our Leaders, from Berrett-Koehler. 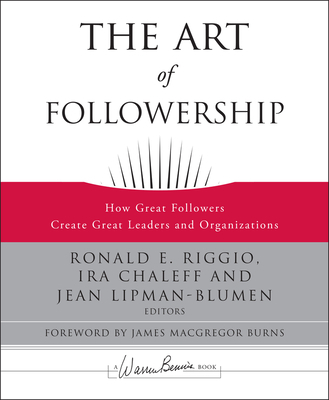 Jean Lipman-Blumen is Thorton F. Bradshaw Professor of Public Policy and professor of organizational behavior at the Peter F. Drucker and Masatoshi Ito Graduate School of Management, Claremont Graduate University, and author, The Allure of Toxic Leadership and Connective Leadership.